Friday comes around so quick here. Today we have a tutorial from Cheremane to share with you all! Firstly paint all the MDF with the Jet paint and leave to dry. 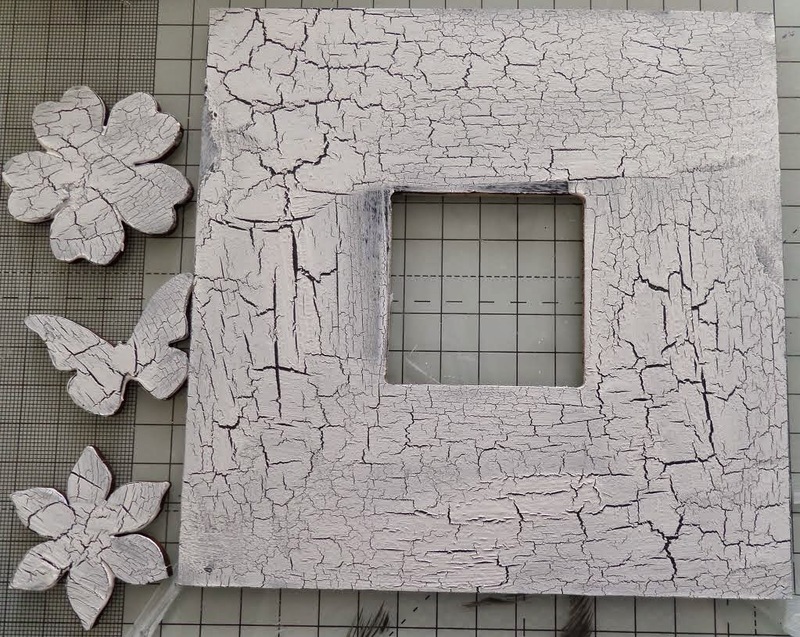 Now paint the crackle medium onto the MDF once dry put a layer of chalk paint on it and before your eyes watch the cracks appear instantly. 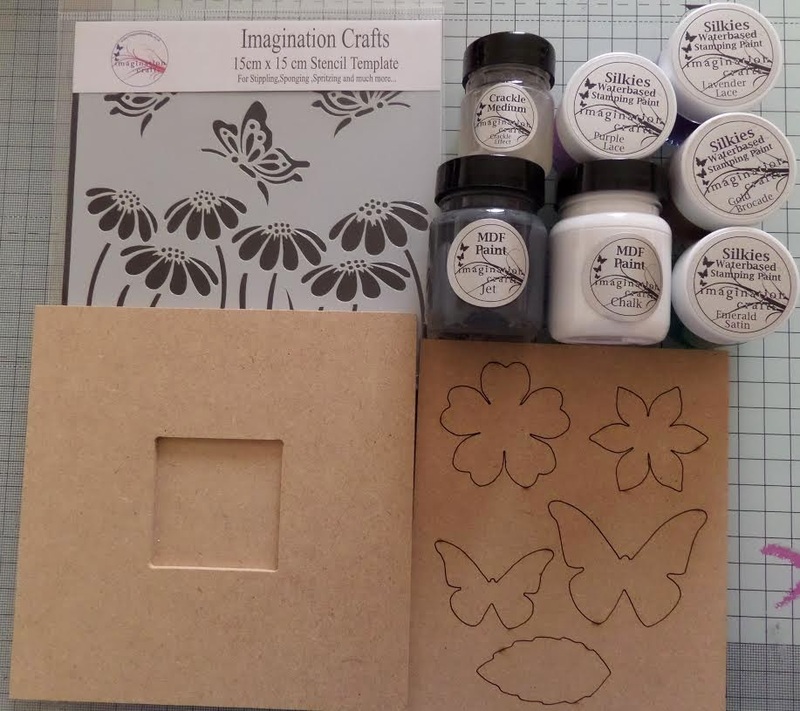 Next using the Silkies and a sponge add colour through the stencil, using your finger add some colour to the edge of the MDF butterflies. Finally stick the frame together with wet glues and add some string to hang the frame with. 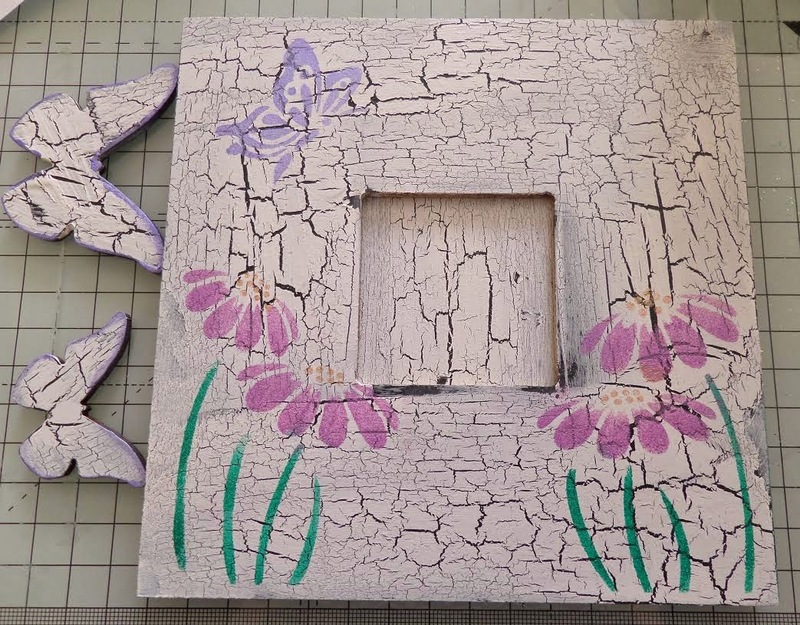 Paint the frame with Sandstone MDF paint. 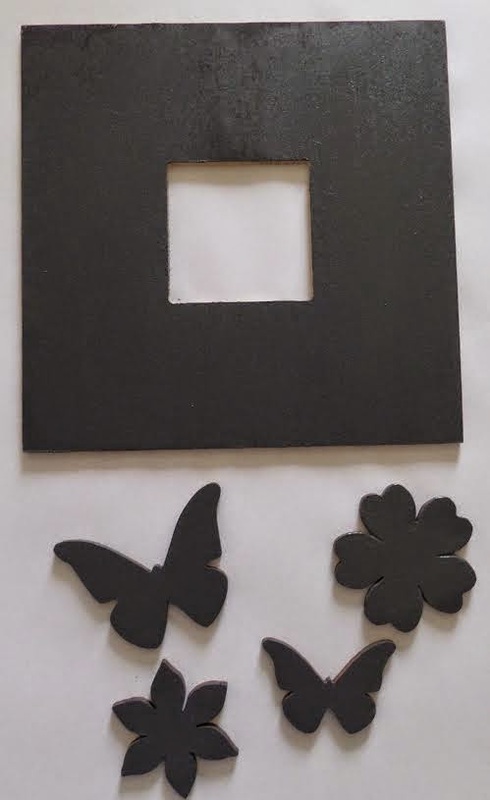 Glue the MDF flowers, leaf and butterflyonto the frame. Then using some old paste and palette knife make a rough pattern all over. Once the Jet paint has dried apply some gilding wax with cut and dry foam. Then add some Sparkle medium in Lavender using Leaf flower border. There you have it, you can add a picture in the centre. September already, this year sure is whizzing by! 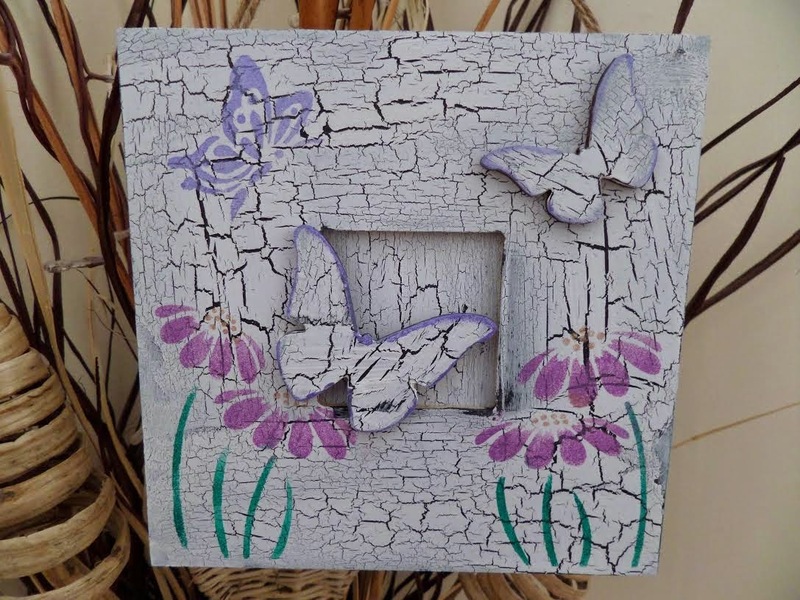 Paint the frame and butterfly with Jet MDF paint. Then cover the frame with crackle medium then a good coat of the cream. Using your finger dab some diamond sparkle medium on to the flowers and butterflies. Add some ribbon and gems to finish, hot glue the elements in place.